Our Waterways Champion Award, supported by Waterways Ireland, will celebrate the groups or individuals behind the best initiative/event on or near a waterway managed by Waterways Ireland. These are the people who use their time to help others in the community, raise awareness of our wonderful waterways, help to preserve them, and, most importantly, get people out and using our wonderful waterways. So without further ado, check out our wonderful nominees below. The winner of our Waterways Champion Award, supported by Waterways Ireland, will be announced at the Outsider Awards in the Sugar Club on 30 January. Tickets can be purchased here. The Royal Canal Amenity Group’s core objective is to promote recreation, heritage, education, and tourism along Ireland’s 145km linear parkway that is the Royal Canal. In addition to this, the group also hosts a number of events throughout the year. These events include a week of walks for Heritage Week in the city area of the canal and a promotional event for the Canal Greenway. The promotion event looked at every aspect of the Royal Canal. It displayed the before and after of the canal restoration and promoted the future of the canal as an amenity, showcasing the greenway which runs the full length of the canal. Kayaking and barge trips were offered along the canal at Maynooth and there were arts and crafts displayed with a canal-orientated theme. The main aim of this event was to push the canal as a local amenity and a tourist destination. It also displayed and demonstrated their smart canal (tags) programme which encourages people to use the waterway. Check out Waterways Ireland for more info. 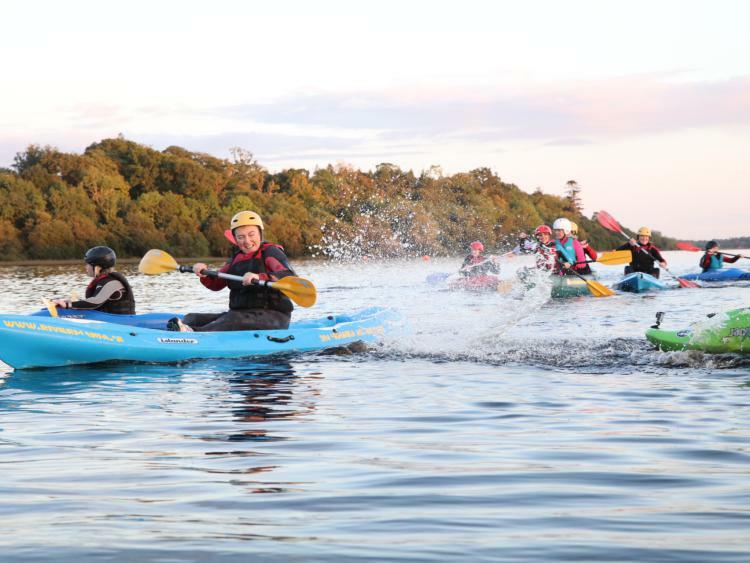 The Women on the Water programme was about attracting and encouraging 80 non-active females to get involved in physical activity and adventure sports on the River Shannon in Leitrim. The aim was to give all the participants a positive and brilliant experience, develop their paddling skills for life and encourage them to use the inland waterways of Leitrim in the future with friends and family members. The eight-week kayaking programme provided the women with a level 1 kayaking certificate and improved and enhanced their paddling and safety skills on the water. At the conclusion, all the participants on the programme came together and completed a local group Waterway Ireland Blueway Challenge in Leitrim. Check out the Leitrim Sports Partnership for more info. Every year hundreds of students from Europe and Russia sign up to the ELCI, an English language and activity programme for international teenagers. The activity element of the programme relies heavily on the Shannon navigation system. Activities on the Shannon include paddle boarding, kayaking and an exciting island camping trip, all of which are coordinated by local activity providers. The programme also attracts families as parents accompany their children to Ireland and then remain in the local area where they too partake in the abundance of fantastic outdoor activities on offer. “Our students describe the event as the best part of their two- or three-week stay in Ireland. Our young students come mostly from cities in Europe and Russia and they find the experience unique and unforgettable. The event gives students an amazing perception of Ireland and the area around Leitrim and Roscommon in particular,” says Grainne Doherty, event coordinator. Check out English Language Camp Ireland for more info. This is a brand new event based on a strong cross-border partnership between two canoe clubs on the River Erne – Erne Paddlers in Enniskillen and Cavan Canoe Club. The event consisted of a double header canoe marathon competition with two marathon canoe/kayak races over two days. The event offered ample opportunity for networking and socialising between the canoeing communities of both Northern Ireland and the Republic of Ireland. 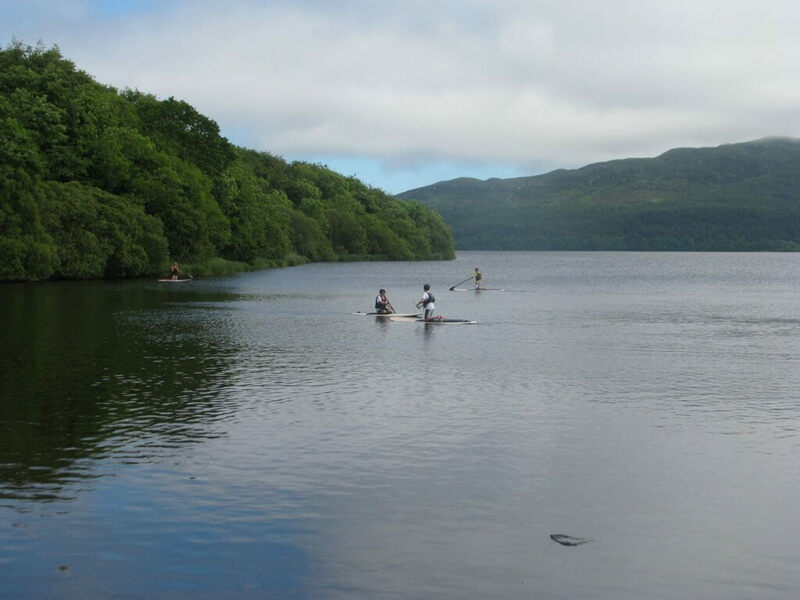 The event is designed to attract canoeists from all of Ireland and abroad, by offering the opportunity to participate in two quality races over the weekend and sample the hospitality of the Erne region. The event included novice races at both venues and a choice of distances to encourage new waterway users to participate. It actively targets people who have previously taken part in Blueway events. 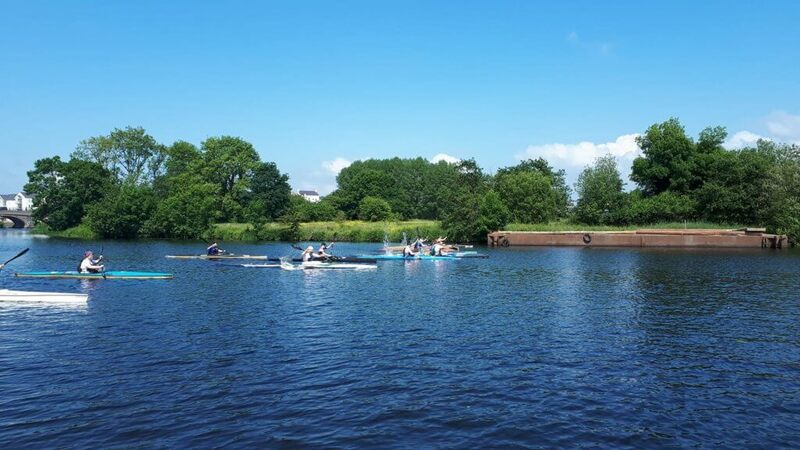 The event is structured to provide a progression from Waterways Ireland Blueway events into competitive marathon canoeing, as well as promoting cross border cooperation between canoeists. It showcases the strong links between Erne Paddlers and Cavan Canoe Club joined across the border by a common waterway – the Erne. This is especially important in the context of Brexit and highlights the lack of a hard border on the waterway and the importance of cross-border bodies such as Waterways Ireland. Check out Erne Paddlers for more information. 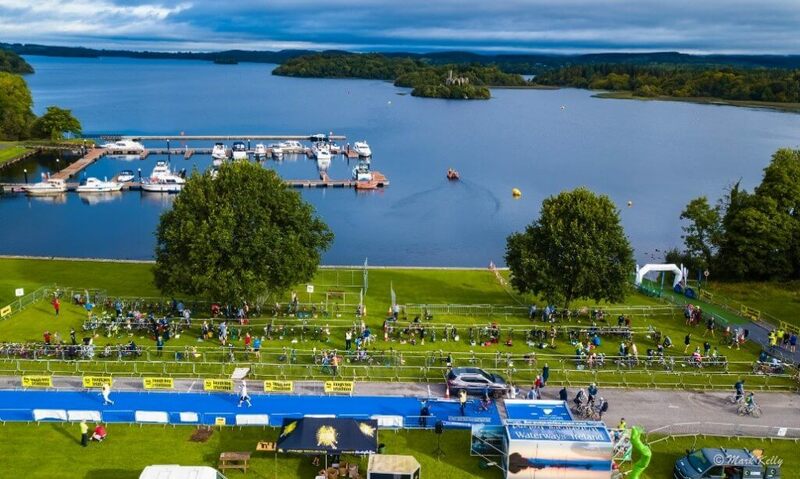 Lough Key proved a spectacular location for a triathlon. Kicking off in the harbour area of Lough Key, the sprint triathlon saw competitors take on a 750m swim in Lough Key itself, followed by a scenic 20km cycle and 5km run on the lake’s shoreline. 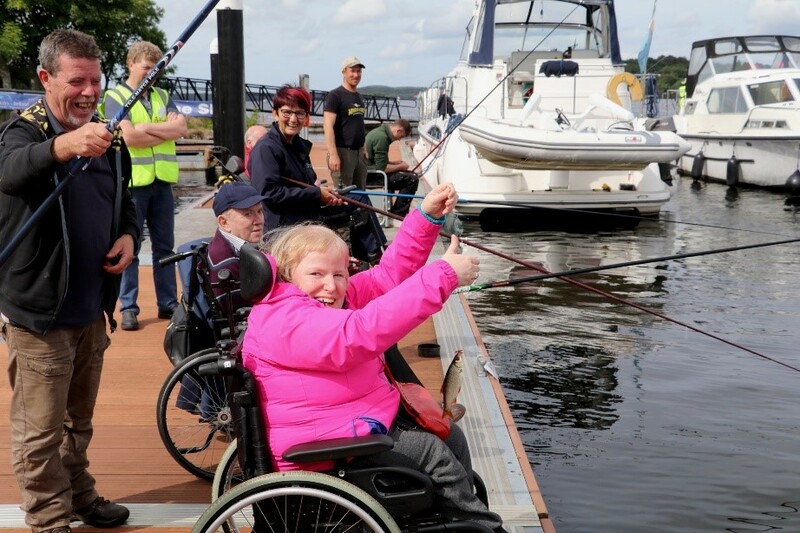 The event, which is directed by Tadgh Moran, was a great success with members of the local community and from further afield taking to the shores of Lough Key to both participate and spectate. The Lough Key triathlon has a huge emphasis on first time participation. Approximately 10-15% of competitors have never taken to the start line of a triathlon before. In addition to the main event, they also offer a Tri-a-Tri event earlier in the year to further encourage participation in the sport. “We had a visually impaired athlete and a hand cycling competing in the race this year as part of a relay team. It is so great to see that people of various levels of ability can participate in sport and in particular in the Lough Key Triathlon,” says Tadhg. Check out Lough Key Triathlon Club for more info. A BBQ added to the party atmosphere, which people travelled from far and wide to get to. Special attendance medals and certificates were awarded to all. 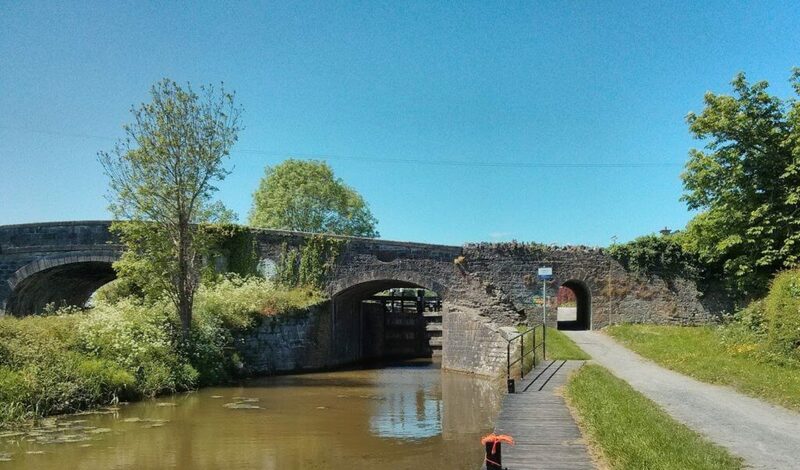 Waterways Ireland supports the development of recreation and tourism along the waterway corridors through the management and development of Ireland’s navigable inland waterways. The Waterways Ireland Events Programme supports communities and organisations that require assistance to run events along waterways managed by Waterways Ireland.